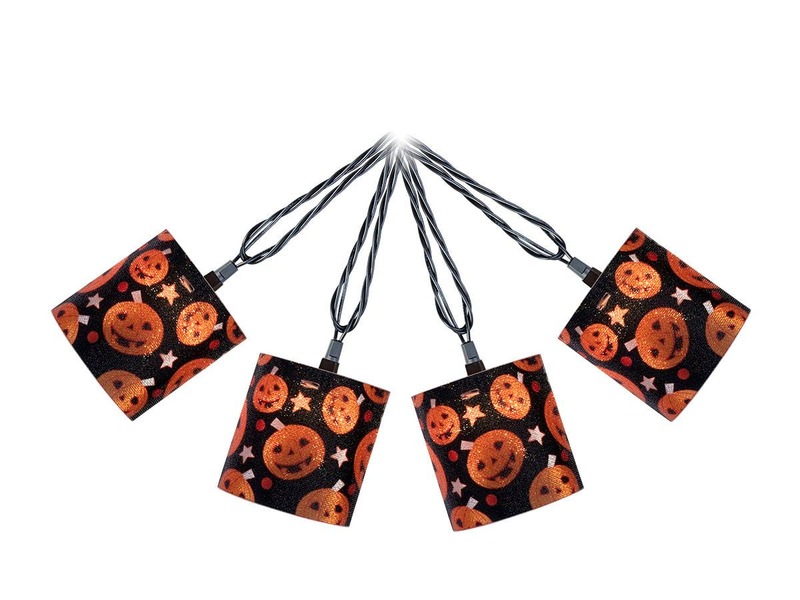 Are these outdoor lights that can be used in the rain? BEST ANSWER: The cord indicates that they can be used for both indoor and outdoor use. Don't know how durable they will be after one season in the elements. They are nice for the price. I think they would be ok - I have mine out under the eaves and not exposed to direct rain. They are kind of a wrap - plastic cover - not molded plastic. I would not recommend that. I use mine in my screened in lanai that has glass sliders so they are not exposed to the weather elements. Thanks, Linda. Just saw that they are for indoor use only. It says at the bottom of the product page in red lettering...."Indoor Only"
Thanks. I saw that shortly after posting my question...not sure how I missed it. I would delete this question but I don't see that option. The little domes are plastic so they should be okay in the rain. No! They are flimsy and wiring not weather proof either. 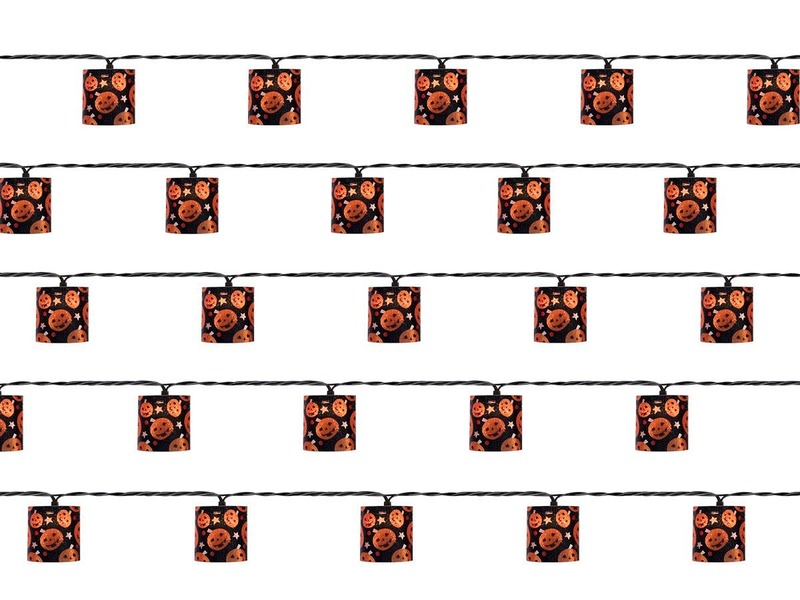 No, indoor Christmas lights inside thin paper. No, I would not use them outside. Adorable. Perfect touch for my daughter's dorm room. Not too bright and had a pretty sparkle. 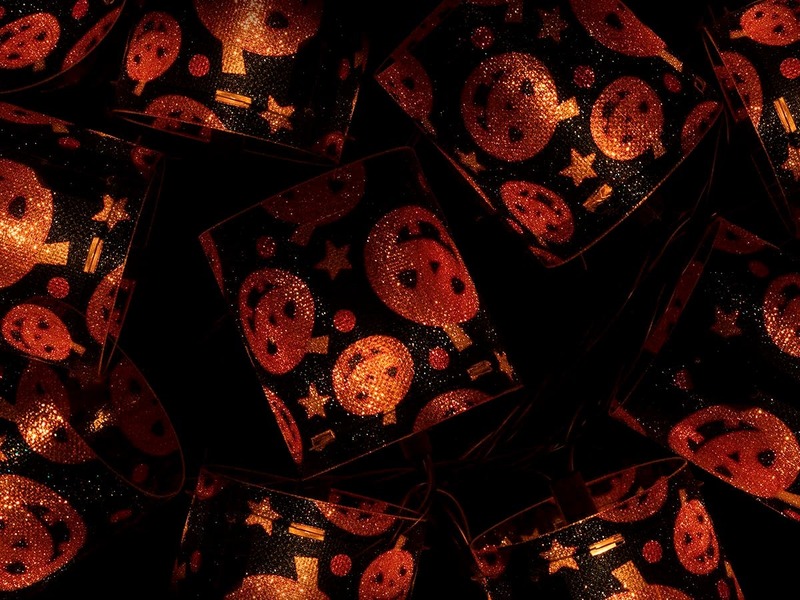 I purchased the pumpkin lights and they are awesome. I am crazy about Halloween and put up a tree every year. 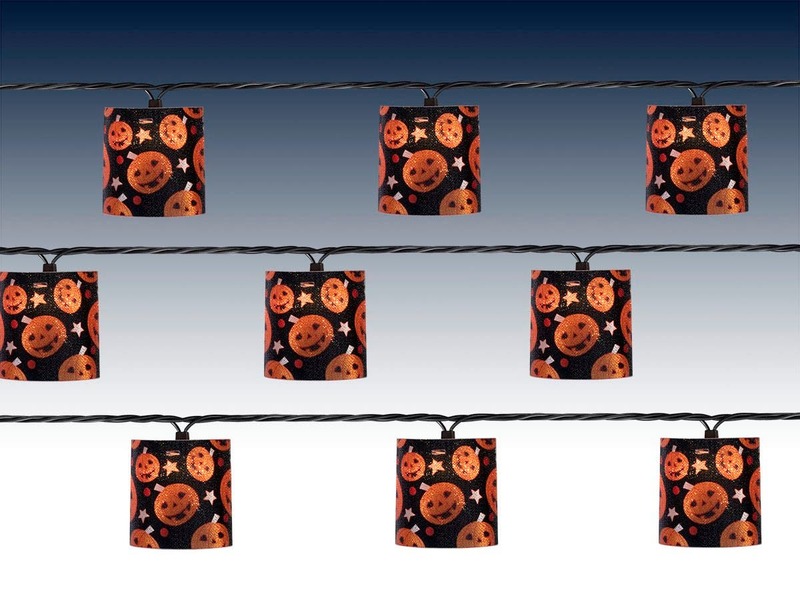 I ordered them after I had already put my tree up so I will put them on next years. The price caught my eye and I'm so glad I made the purchase. I ordered 6 strands. Quality is excellent and if you like them in the picture they are 10x's better in person. Very bright and detailed pattern. One big plus is they plug in unlike a lot of themed lights that only take batteries. The packaging was excellent. I would recommend keeping the box they come in to store away. 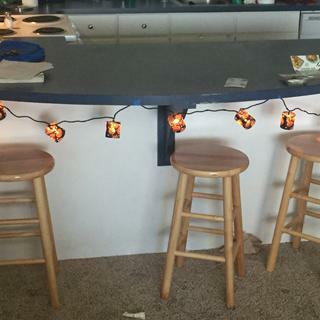 Great Lights for the price! Nice lights but I don't believe they are LED as advertised. The bulb gets warm and no other LED string light I have purchased in the past got as warm as these do. Besides that they make a perfect addition to my office Halloween decorations. 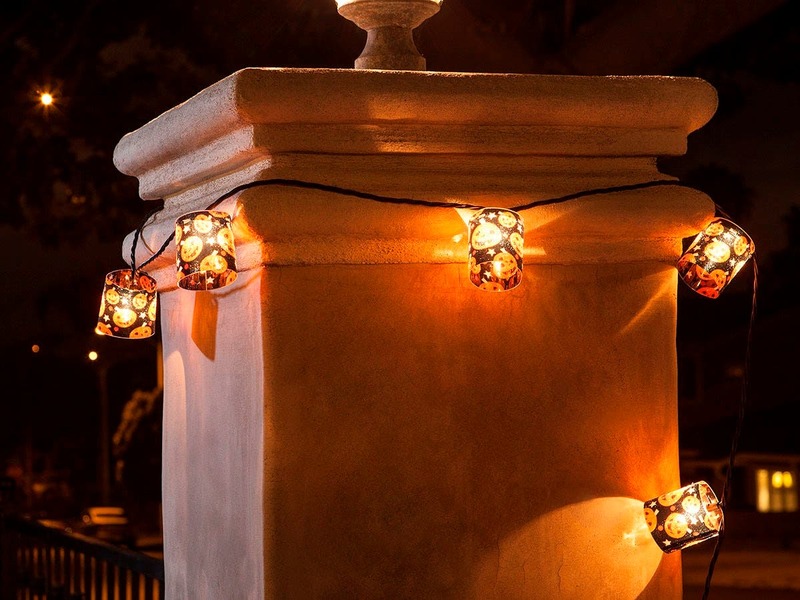 These lights look terrific on our cabana. We have an annual pumpkin carving party and these light added a wonderful touch to our festivities. Love them. 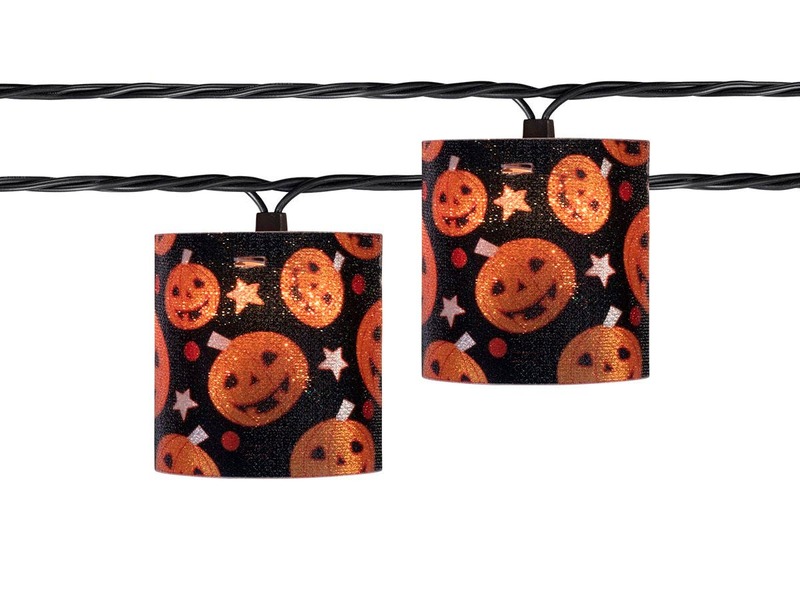 I love these little lights, I hung them on my lanai. So festive looking and so cute. I wish I would have bought two strings. Such a bargain. I definitely recommend them.